Disclosure: I was provided with promotional material from the vendor in exchange for a post. All views shared are mine and mine alone. Have you been watching the Olympics? 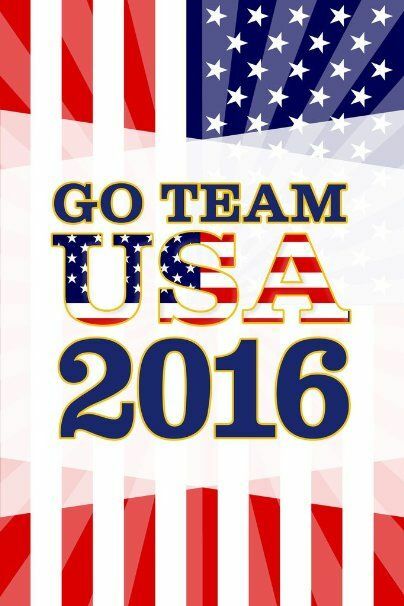 We have been counting down since the start of 2016 for the games, and are so happy the Olympics are finally here. Usually it is just my husband and I watching the events...usually recorded from the day before, as we are too busy with the kids to sit and watch them. But, this year we have two more Olympic fans sitting around the television with us...our two girls. Moments like this make my husband and I realize the girls are no longer babies and are growing up. Insert Mommy crying here. :-( Time sure does fly by. No more diapers or bottles. Instead our days are filled with homeschooling a Kindergarten and first grader, or sitting down to listen to Savannah read a new book and want to share it with everyone. When the girls are not doing schoolwork, you can find them either hanging out with their friends or in the pool, becoming better swimmers. We started the girls in a local swim program about a year and half ago, and they continue to impress me with each lesson. They went from being afraid to get in the water without me and not wanting to get their faces wet, to asking me if they can jump from the 5 or 7 ft. on their own. 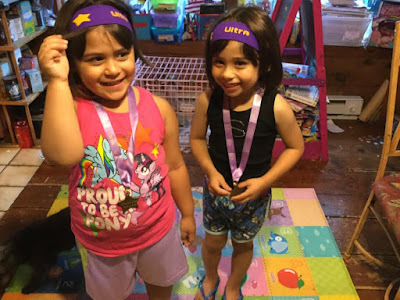 They now love being in the water and learning new swim techniques, in hopes that one day they, too, can be in the Olympics and win a medal in swimming. :-) Well, they haven't said this yet, but my husband keeps saying they will be in the Olympics in 2030 competing. :-) He sure is a proud daddy, and also impressed with how far the girls have come when it comes to swimming. Both Savannah and Bella are doing great, and they love every second in the water. I bet this is the same way the swimmers in the Olympics felt when they first started honing their talents in the pool. My girls especially love when they get the pool to themselves, as they can jump in, swim around or have races with each other, to their hearts content, without bumping into other swimmers. In the meantime we are enjoying snuggling up on the couch to watch Olympics as we root on Team USA in the different sports. It is way more fun watching the Olympics with the girls as they get really excited and have been running up near the television to root on Michael Phelps when he is in the pool. I have even seen Bella pretend to bite her nails when the races get really close. But, their favorite swimmer always seems to pull out a win, and the girls, like Michael Phelp's family in the stands, are all smiles and saying "Way to go!" Do you have a little athlete at home who is conquering crawling or taking on walking or learning how to swim? Then, you''ll want to have on hand a Tommee Tippee Ultra bottle to stay hydrated so they can try again and again. 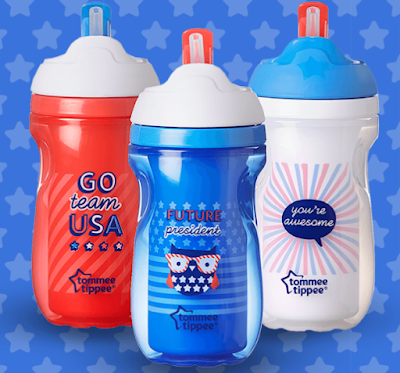 In addition to the popular Tommee Tippee Ultra bottle, the folks at Tommee Tippee also have a fun Stars & Stripes collection perfect for the Olympics. We were recently sent the "Go Team USA" insulated sipper tumbler to see the new collection in person, and this tumbler has become a staple when watching the Olympics. I ended up picking up another cup so the girls would each have one. As you can see in the photo below, Savannah is all smiles as she gets ready to head into the living to watching swimming and gymnastics. You can learn more about the Stars & Stripes collection and the Tommee Tippee Ultra bottle by visiting the Tommee Tippee website - https://www.tommeetippee.us/, including where to purchase these products, so that your little athlete can root on their favorite Olympic athletes or conquer a new milestone like a true Olympian, thanks to the cute product offering from Tommee Tippee. This stuff is so cute! I wish I would have had these when my nephews were little. 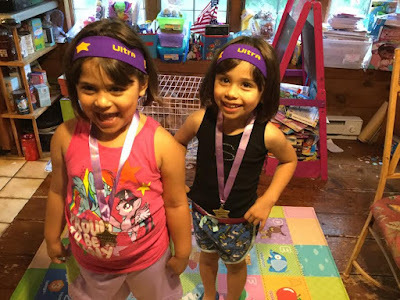 These are so adorable we have to get some thanks for sharing.